Faith . . . that word gets tossed around all over the place today. We say we have faith in this or faith in that, or that we have faith in God, but do we really know what we are talking about when it comes to faith? Until “the rubber meets the road,” it’s easy to say we have faith in something or someone, like God, but it’s in the midst of the really tough times that come to all of us at some point that we really find out where we have placed our faith and in what or whom we really believe in. And it usually boils down to either believing in ourselves and our own resources, or believing in someone else (as in God). It’s easy to say we believe in God when everything in going along fine and nothing out of the ordinary is happening in our lives. However, it’s not nearly as easy when the bottom suddenly falls out and we lose our bearings and possibly a whole lot more. It is at that point that we either scramble to find our own way out of our situation–usually through our own connections and our own resources if we have them or have access to them–or we start learning that we have far less control then we ever imagined, and we either start learning to trust in a God we’ve always claimed we believed in, or we start sinking in an ocean of unbelief and/or despair when God doesn’t come through for us in the way and/or in the timing that we wanted Him to do it in. The bottom fell out of my life when I lost my job in Houston in April 2009 that has left me unemployed now into my seventh year. Like many others around me at that time who had lost their jobs, I attended job networking groups where sometimes as many as 500+ unemployed people were looking for work and in attendance at the peak of the unemployment period caused by (1) the housing bubble that burst wide open in 2008 as well and (2) the biggest Wall Street crash in the history of the U.S. that occurred on September 29, 2008 (ironically, it was also my first day of work at that ill fated job in Houston that I lost seven months later). And the repercussions hit all areas of life in America with unemployment rates topping out at 12% or higher across many cities and states. Over the next several years many of those folks eventually found jobs, but there were still many who did not. I am one of those folks. It’s not that I stopped looking for work (I didn’t), but as the years passed nothing seemed to work out no matter what I did to try and find work. And it was at that point that I started to become aware of a much bigger world going on out there in America and around the world besides the everyday world of work and daily life habits and routines that most of us get caught up in. During these past several years since I lost that job in 2009, God has taken me through each day, week, month, and year, step by step–and now I’m well into my seventh year. And every day, the first thing before I even get out of bed, I have to keep laying my own desires on His altar every morning and let Him guide me through each and every day. And it’s been an adventure to say the least and probably one not many would pick (I’m not sure if I had known back in April 2009 what I would be going through during these past several years that I would have picked it, either). But in looking back over these years and all I have learned and experienced along the way, I wouldn’t trade it for anything today. And the adventure continues . . . . I feel very fortunate that I was raised from the time I came out of my mother’s womb to believe in Jesus Christ and in God by my mother (see blog post titled, “Incomparable,” published on July 25, 2012), who instilled in me at that very young age to trust Him in everything no matter what (which I did at the ripe old age of ten). My mother’s life, and even her death brought on by diabetes, wasn’t easy, but despite many setbacks in her life her utmost faith in God was always there. She wasn’t perfect (after all, nobody is), but her faith was unshakable. That is her legacy and my heritage. Unfortunately, in the years since her death (1983) the church has shifted towards the culture and the culture’s model of success (among other things) has become part of the Christian model of success–with all of it’s showmanship, prestige, glitter, and materialism. You won’t find stories like my mother’s story in the pages of many Christian books nowadays as the model of Christian success, yet it is the very people just like my mother who make up the “great cloud of witnesses” mentioned in Hebrews 12. I wish we could get back to the days when it wasn’t all about “Celebrity” Christians and how to have or get all we want or can get in this life. The true Gospel of Jesus Christ has never been about any of that stuff. I have no idea what the younger generation believes in today (besides the obvious–technology and social media). I keep reading where, more and more, the Millennials among us often choose “none” as their religious preference (see Pew Research article titled, “Millennials increasingly are driving growth of ‘nones’” at this link). And I’ve been in enough churches over the past several decades to see how “Hollywood” in appearance and entertainment that the church has become. We even have Christian theme parks now, too. No wonder we are losing the younger generation. And I wonder how many people we’ve lost in the older generations, too, over the years. I honestly can’t imagine not believing in anything or anyone other then self or technology or our own resources (or God on a very superficial level that doesn’t penetrate what we do in our lives on a daily basis), but I guess there are many people who do just that. So what happens to them when the bottom falls out of their lives? It happens to all of us at some point in time (even though most who haven’t already experienced it might not think so or are convinced it will never happen to them). Where do they go if they don’t believe in anything except technology and social media and what they can do with it? Believing that Jesus is God incarnate who died on the cross to pay the penalty for our sins and was resurrected is not enough. Even the demons believe in God and in those facts (cf. James 2:19). We must personally and fully rely on the death of Christ as the atoning sacrifice for our sins. We must “sit in the chair” of the salvation that Jesus Christ has provided. This is saving faith. The faith God requires of us for salvation is belief in what the Bible says about who Jesus is and what He accomplished and fully trusting in Jesus for that salvation (Acts 16:31). Biblical faith is always accompanied by repentance of sin (Matthew 21:32; Mark 1:15). Finding Truth displays Pearcey’s well-earned reputation for clear and cogent writing. She brings themes to life with personal stories and real-world examples. The book includes a study guide shaped by questions from readers, from teens to college professors. It is ideal for individual or group study. (Quote source here). “. . .When a third of young people are leaving church because of intellectual doubts, Pearcey shows how biblical truth is more convincing then competing worldviews, and also more appealing. The gospel is the highest love for human beings. The gospel is the key that fits the lock of the universe.” ~Kelly Monroe Kullberg, founder of The Veritas Forum, Founder and President of The America Conservancy. Of course, the Number One source for anyone to go to first is the Bible, and a good place to start is by reading the Gospel of John. For God so loved the world that He gave His only begotten Son [Jesus Christ] that whoever believes in Him should not perish but have everlasting life. For God did not send His Son into the world to condemn the world, but that the world through Him might be saved. Being a Christian is about a living and vital relationship with Jesus Christ that transforms a person’s life from the inside out. Without that transformation, it is just a term we bounce around like everyone else who claims to be Christian yet there is no outward sign that it is even true. 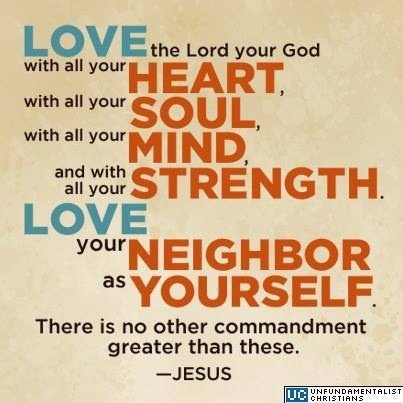 Anybody can act nice and look nice and learn the vocabulary that Christians use, but that doesn’t mean squat if there has been no transformation, no true belief in Jesus Christ as the One and Only Son of God and that it affects us at the very core of our being, and changes us, too. Through the power of Jesus Christ . 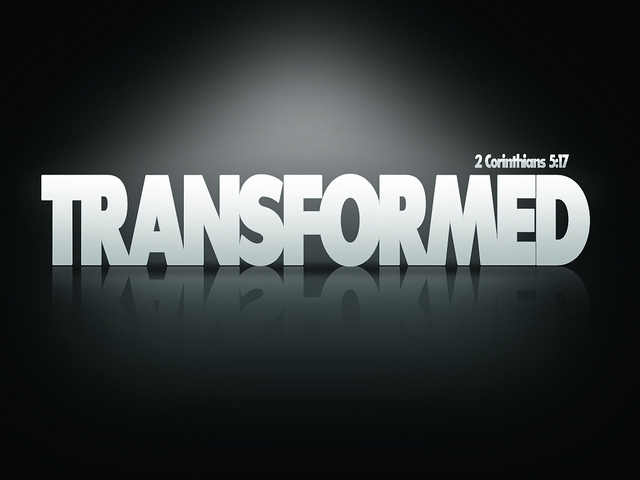 . .
You, too, can be transformed . . . .
Goodness has existed as an attribute of God from all eternity. While God is perfectly holy and just, He is also perfectly good. Just as God has always existed, so too has goodness as it is a facet of God’s holy character. The same cannot be said for evil. Evil came into being with the rebellion of Satan and subsequently entered the physical universe with the fall of Adam. As Christian apologist Greg Koukl has said, “Human freedom was used in such a way as to diminish goodness in the world, and that diminution, that lack of goodness, that is what we call evil.” When God created Adam, He created him good, and He also created him free. However, in creating Adam free, God indirectly created the possibility of evil, while not creating evil itself. When Adam chose to disobey God, he made this possibility a reality. The same scenario had previously played out when Satan fell by failing to serve and obey God. So it turns out that evil is not a direct creation of God; rather, evil is the result of persons (both angelic and human) exercising their freedom wrongly. 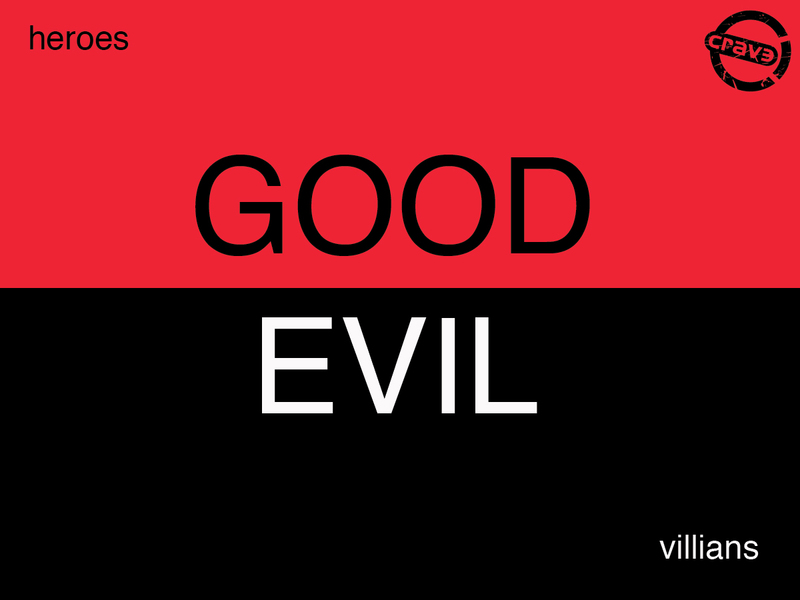 While evil is certainly real, it is important to recognize that evil does not have existence in and of itself. Rather, it only exists as a privation (or a parasite) on the good. It exists in the same way that a wound exists on an arm or as rust exists on a car. The rust cannot exist on its own any more than cold can exist without the existence of heat or darkness can exist without the existence of light. 5. marked by anger, irritability, irascibility, etc. : He is known for his evil disposition. Since God created us with a free will, because of our human nature, we are all capable of doing or being evil to others. While we were created to obey, enjoy and worship God, in our free will we chose not to do so, and it has been handed down to every single generation since Adam and Eve (see Genesis 1-3). Our adversary before us (whom Eve met and succumbed to–as well as Adam did through Eve–in the Garden of Eden) had the same option to obey or disobey God (see “How, why, and when did Satan fall from Heaven?” at GotQuestions?org, and for the skeptics among us who laugh as the mention of the mere existence of such a being as Satan, see “Does Satan Exist?” also at GotQuestions?org). However, it is not a topic I’ll be addressing on my blog since much has already been written about our adversary and his existence in our world by many others including scholars. The same goes for the topic of “free will” (see answer to the question, “Is God sovereign or do we have free will?” at GotQuestions?org). Answer: Of course we do, and we choose to do one or the other all the time. Evil lurks in all of us. It is impossible for those who have once been enlightened, who have tasted the heavenly gift, who have shared in the Holy Spirit, who have tasted the goodness of the word of God and the powers of the coming age and who have fallen away, to be brought back to repentance. To their loss they are crucifying the Son of God all over again and subjecting him to public disgrace. Land that drinks in the rain often falling on it and that produces a crop useful to those for whom it is farmed receives the blessing of God. But land that produces thorns and thistles is worthless and is in danger of being cursed. In the end it will be burned. Even though we speak like this, dear friends, we are convinced of better things in your case—the things that have to do with salvation. God is not unjust; he will not forget your work and the love you have shown him as you have helped his people and continue to help them. We want each of you to show this same diligence to the very end, so that what you hope for may be fully realized. We do not want you to become lazy, but to imitate those who through faith and patience inherit what has been promised. What causes fights and quarrels among you? Don’t they come from your desires that battle within you? You desire but do not have, so you kill. You covet but you cannot get what you want, so you quarrel and fight. You do not have because you do not ask God.When you ask, you do not receive, because you ask with wrong motives, that you may spend what you get on your pleasures. We have gained a rather flawed concept of what the Christian life is supposed to look like over the past several decades, and do not understand the ultimate purpose of God which has never changed since the beginning of time. He did not create us so that we can ask for and/or acquire all of the material possessions or money we can possibly get our hands on (although you wouldn’t know it by looking at our culture today). Read that passage in James 4:1-12 again (see above) if you think so or even tend to go in that direction. No . . . our selfish desires, greed, and accumulation of stuff is not God’s plan for us. That God gives us good things is one thing, but our cravings for more of them is quite another. And our greed for more of anything is truly evil at it’s very core. But do not forget this one thing, dear friends: With the Lord a day is like a thousand years, and a thousand years are like a day. The Lord is not slow in keeping his promise, as some understand slowness. Instead he is patient with you, not wanting anyone to perish, but everyone to come to repentance (2 Peter 3:8-9). That’s it. It’s not about what we selfishly seek after or want more of that matters. It is about God and the salvation He has provided through Jesus Christ and His sacrifice on the cross and His resurrection from the dead and His free gift of eternal life (see John 3:16-18) that matters. God didn’t send His Son to this earth so that we could have “bigger, better, more, more, more” of anything that we happen to crave. He is not a genie in a lamp to do our will at our whim or bidding because of our own selfish desires. We are here to do His will. And without spiritual maturity, we will never know what His will is for us, and we will keep on seeking after our own selfish desires and what we want while asking God to put His stamp of approval on it. We often have this inane idea in America that success as a Christian is in the outward accumulation of all that looks good and acts like “success” in our society. And we erroneously think that anyone who doesn’t fit that particular model of success can’t possibly be on the right track. My guess is that John the Baptist (see John 1) wouldn’t have been welcome in many of our churches today neither by his appearance nor in his message. And what about the example of Ananias and Sapphira in Acts 5:1-11 who were wealthy and ended up dead? They were a part of the early church, but their motives were selfish. Our image of “Christianity” today often fits the model of the Pharisees far more then it fits what real, genuine Christianity is all about. At this juncture, I want to make clear that I am not talking about money or material possessions in and of themselves as there is nothing wrong with either. Rather, it is the greed so many of us in America have allowed to take hold of our lives in striving for the accumulation of more money and material possessions at the expense of our relationship with God and others, and never being satisfied with what we have (see Hebrews 13:5). And that attitude has become pervasive in our culture over the past several decades, and it is diametrically opposed to the Gospel of Jesus Christ. This life is not about us and what we can get from it at the expense of others and our relationship with God. There is an eternity out there at the end of this life and nobody seems to be paying attention to that very clear fact. We in the Christian community are often striving for the same accolades, accomplishments, money and material possessions as the rest of our society, and we are entirely missing the point. God never acts without purpose—never. People act without purpose. I feel that a great deal of what we do in the church today is purposeless. But God never acts without a purpose. Intellect is an attribute of the deity. God has intellect and this means that God thinks; and so God never does anything without an intelligent purpose. Nothing in this world is without meaning. God put the universe together with a purpose and there isn’t a single useless thing anywhere; not any spare parts; everything fits into everything else. God made it like that. . . .
. . .He created the flowers, for instance, to be beautiful; He created birds to sing; He created the trees to bear fruit and the beasts to feed and clothe mankind. And in so saying, these people affirm what the Holy Scriptures and Moses and the prophets and the apostles and saints since the world began have all said. 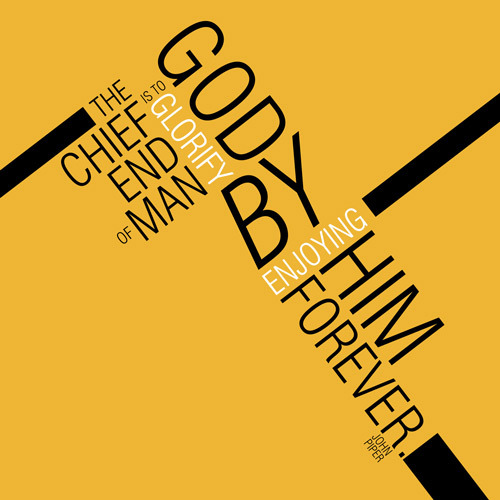 God made man for a purpose and that purpose is given by the catechism; the answer is, “To glorify God and to enjoy Him forever.” God made us to be worshipers. That was the purpose of God in bringing us in to the world. (Devotion for November 30). God did not create us so that we could chase after everything that we want in this life. He created us with the same purpose He had in mind when he created our first ancestors, Adam and Eve, and that purpose is “To glorify God and to enjoy Him forever.” Read that last part again . . . “To glorify God and to enjoy Him forever.” Unfortunately, just like our first ancestors, we want what we want when we want it, and we really don’t trust God to give us what we need, and that separates us from God. We need to start believing it, and not be filled with selfish motives like Ananias and Sapphira who ended up dead because of it. . . .
Dr. David Jeremiah, founder of Turning Point Radio and Television Ministries and senior pastor of Shadow Mountain Community Church in El Cajon, California, wrote a book titled, “I Never Thought I’d See the Day! 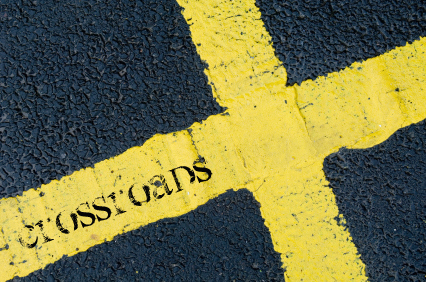 Culture at the Crossroads,” published in Oct. 2011, and a #1 New York Times bestseller. It is the fourth book in a series of books (all New York Times bestsellers) he wrote titled “Living with Confidence in a Chaotic World,” (2009); “What in the World is Going On? : 10 Prophetic Clues You Cannot Afford to Ignore,” (2010); and “The Coming Economic Armageddon: What Bible Prophecy Warns about the New Global Economy,” (August 2011). A prolific author, his latest book, “Agents of the Apocalypse: A Riveting Look at the Key Players of the End Times,” published in October 2014, is also a #1 New York Times bestseller. In “I Never Thought I’d See the Day!,” Dr. Jeremiah identifies the nine major indicators of this looming disaster and then issues a strategy for turning the tide and equips us with the weapons we need for the battle ahead. Above all, he brings a message of hope that our “culture at the crossroads” can be put back on the right path. These are large subjects, the kind of trends that develop over years. They move at a glacial pace compared to the frenetic lifestyle most Americans live, which makes them easy to miss . . . . But no one misses the effects of these changes. They contribute to the deteriorating moral and spiritual culture in which we live (p. XV). Those chapter titles read like front page news. And who could disagree that each of these topics have played a major role in the changing of America today, and the erosion that has taken place over the past several decades. The book is very comprehensive and my purpose in writing this particular blog post is to give my readers a review of the very informative contents in case they would like to read more in the book, which is available in paperback at most online and regular bookstores and on Dr. Jeremiah’s website. (See also Amazon.com and Christianbook.com.) I found a paperback copy at one of the Dollar Tree stores where I shop. It is available in English and Spanish, and is also available in large print and as an ebook. When someone my age refers to the good old days, it’s usually a reference to the 1950s. That’s the decade of my childhood, and if I can trust my memory, it was indeed different from the decade we have just completed. World War II was over, the economy was on a roll, military personnel were back home starting new families (the baby boomers were conceived in the fifties), a conservative political and cultural wind was blowing, and life was good. At least, it was a lot better than life in wartime. Then came the 1960s, when young people rebelled against the status quo and the Vietnam War, then the seventies when the nation tried to figure out what the sixties meant, and then the eighties–the so-called “Decade of Greed.” By the time the 1990s arrived–the Digital Decade–the good old days appeared as a faint image in the rearview mirror of life. Then came the first decade of the twenty-first century, when society started pulling down long-standing pillars upon which our nation was built. . . . The changes of the last two or three decades came so fast and furious that we began to long for a simpler, quieter, more predictable time in which to live [e.g., “the good old days”] (p. 272). . . . The economic upheaval beginning in 2008, was, in my view, symptomatic of greater and even more dangerous changes that had occurred in the previous several decades. Financial and economic activities that led to the collapse of 2008 were in many cases deceitful and immoral–indicative of a society that had lost its moral and spiritual compass. Any nation that is drowning in debt, at war around the world, and in danger of losing her status as an example to other nations [Note: which has been happening at an alarming rate since 2011 when this book was published] clearly has serious problems at home (pp. 273-274). I am, however, an optimist about God. And it is toward Him that we must turn our attention. But first I must sharpen the definition of optimism on the whetstone of Biblical realism. By optimism in God, I do not mean that I expect God to swoop down and erase our massive debts; put an end to threats of terrorism; cause a spiritual revival to sweep the nation that impacts school, government, and commerce; and return America to the good old days. I don’t think that’s biblically realistic, and it’s not a lack of faith that causes me to say so. Rather, as I read my Bible I find compelling reasons to believe that the human race is on a collision course with calamity–that things are going to get worse before they get better, which will not happen until the return of Jesus Christ to earth. I believe the Bible teaches that in the last days of this age, only the return of Christ will keep humanity from destroying itself. So what is there to be optimistic about? I am optimistic about God’s ability to keep you and me from being conformed to the chaos around us. I am optimistic about God’s ability to transform us–to raise us higher as the world sinks lower. Regardless of what happens in the future, I need that protection from conformity and that power to be transformed, And I need it today! Even if the intensity of the storms around us doesn’t increase in my lifetime or yours, they are bead enough today to make me know that I need the protection and power to endure . . . . This protection from conformity and power to be transformed is the only way to find peace and joy in this life. If we allow our well-being to depend on external circumstances–our financial security, our comfort, the satisfaction of material or sensual desire, or our health, we consign ourselves to lives of anxiety over events we cannot control. We are dependent on a world that cannot offer the ultimate security and meaning we desire. The only solution is to follow a different path from that of the disintegrating world around us (p. 274-275). It all started because no one was willing to sacrifice–to say no to the allure of a bigger, newer home they couldn’t afford, to say no the the fees generated by writing mortgages for unqualified borrowers; to say no to the fees from selling bundled mortgages; to say no to the fees from insuring those bundled mortgages. Because no one was willing to sacrifice immediate desires for the sake of long-term integrity, we ended up where we are today. We have been trained by our culture not to believe in sacrifice–to believe instead that we can have it all. And this carries over to our spiritual lives. As Christians, we have a healthy regard for the sacrifice Jesus Christ made for us two thousand years ago by willingly laying down His life. But we think of the sacrifice as “won and done” — since He won that victory by sacrificing Himself, it’s not something we are called to do. So when the twenty-first-century Church reads Paul admonishing her to “present your bodies a living sacrifice” to God, it doesn’t sit too well–if for not other reason then because we’re Americans. It doesn’t fit the kind of life we all enjoy. We have everything we need either at our fingertips or at the nearby shopping mall, where we can get it instantly just by sliding a plastic card. We’re not used to having to sacrifice for much of anything. In the two examples of sacrifice Dr. Jeremiah gives on the following page (see p. 279), they illustrate the two definitions of sacrifice as being that we pay with either (1) our time, talent, or treasure; or we pay with (2) our very lives. The term includes the world “living,” yet we are called on to die. That’s what it means to become a Christian. We die to the people we were when we lived by the power of the sinful nature we inherited from Adam. The old self is laid upon the altar and “killed.” In it’s place, we receive the indwelling of the Holy Spirit, by which we live a new kind of life. Living that new life involves the other definition of “sacrifice.” Since we “died” to our old selves, we are now new creatures, no longer living under the selfish power of the sinful nature. As new creatures we live a new kind of life, one directed by the power of the Holy Spirit and God’s Word [the Bible]. The new life will be one of giving–of sacrificing our resources, our self-centered wants, our times, for the sake of the kingdom of God. This radical concept of self-sacrifice, which is the first idea introduced in Romans 12:1-2, is a prerequisite to the second idea; the renewing of our minds. 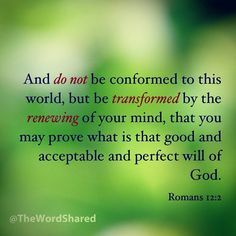 And it is the renewal of our minds that will keep us from being conformed to the world in which we live. We cannot separate the idea of sacrifice from the concept of renewal: No one’s mind will be renewed whose body has not first been given as a living sacrifice to God. As we can see, these two verses in Romans 12 give us a three-step process: (1) We sacrifice ourselves to God. This empties us of self so that God’s Holy Spirit can step in and (2) transform us by renewing our minds. (3) This transformation will enable us to keep from being conformed to the deadly values of the world (p. 280). We are called to give up something–to turn our backs on our former lives and put ourselves in the hands of God, who does not guarantee that we will have comfort, lifestyle, or ease we’ve been used to having. It’s a call for a radical decision. (5) And it is credible decision–considering the sacrifice Christ made for us, what He asks in return is quite reasonable (p. 286). The rest of the chapter focuses on “A Radical Determination” (pp. 286-291); “A Rigorous Discipline” (pp.292-297); and “A Real Demonstration” (pp. 297-299). While this post has ended up being longer then I intended, I hope it has whetted your appetite to look beyond the surface of merely existing for the things of this world and to seek deeper meaning in what it truly means to be a follower of Jesus Christ. Far too often in our society today, as Dr. Jeremiah stated above, “We have been trained by our culture not to believe in sacrifice–to believe instead that we can have it all. And this carries over to our spiritual lives.” And it is a deadly error to make if we are genuine followers of Jesus Christ. There is a cost to following Jesus Christ. So let’s step off of the cultural treadmill . . .
And count the cost . . . .
I’ve been forced by circumstances to live in hotels for the past seven plus months now. The first three of those months were spent in Houston, TX, looking for more affordable housing which never materialized no matter how hard I tried to find and secure it, or from those people and places I sought help from which in the end were no help at all. And the same situation has been happening for the past four plus months since I returned to Orlando from my trip to Houston. Hotels are meant to be temporary dwellings, not semi-permanent or permanent housing. And who can afford to live in hotels on a permanent basis anyway? The current weekly rent I pay is $285/week, yet the apartment complexes where I have gone to secure an apartment for half that price tell me I don’t make enough income on my Social Security to be able to rent an apartment from them. And even if I did make enough income I have been told at every single one of them that the size of apartment I’m looking for (e.g., the smallest) isn’t available anyway and I’d have to be put on a waiting list. But then, of course, I don’t make enough income to even be put on the waiting list. So, I’ve been stuck living in hotels for over seven months now at highway robbery prices compared to apartment complexes who won’t give me the time of day. And, you’d be surprised what I have discovered by being forced to live in them for this long. Welcome to a side of America that most folks (middle class, upper middle class, and the rich among us) never get to see or experience except from a distance if at all. I know I never expected to see or be a part of it either when I was working and I had a steady income that paid my bills. And I certainly never expected this to happen to me especially at an age when retirement was only about ten years away when I lost my job in Houston. Life can turn on a dime, folks . . . . I would like to be able to say that Christianity is alive and well in America but I haven’t actually experienced it to the point of receiving actual, genuine help and not just talk or being placated when it comes to my housing situation (and I won’t even include the past six years that I have been unemployed, and I have Christian friends and colleagues who are working in my profession and some of them are in high level positions, too). And now, as if that wasn’t enough to be enduring over six years, I have been forced to live in hotels for over seven months now due to my very low income on Social Security which I never should have needed to apply for yet if I had only had a job for these past six years. I have been discouraged by what I have seen and personally witnessed from folks calling themselves Christians over these past six years that I have been unemployed and now these past seven months while being forced to live in hotels. If this is what genuine Christianity looks and acts like nowadays in America, I’m changing my religion. No wonder Christianity is losing ground in America especially among the younger generations. What’s there to draw them in? Our love? Fortunately, as I read the New Testament, what I have experienced from some Christians whom I have sought help from and not received anything in return but talk and placating is not what actual, genuine, lived out New Testament Christianity looks or acts like. So where do I go to find it? I’m not saying it doesn’t exist here in America, but I’m pretty convinced it’s like looking for a needle in a haystack at this point in time. And I’m talking about one-on-one help, and not the “global” answers I’ve gotten in the past, like how Christians have built hospitals and other compassion-based organizations and sent missionaries around the world. (See article titled, “What Has Christianity Done for the World?”) While all of that is vitally important it still misses the point I’m trying to make when it comes down to people (individuals) actually helping other people (individuals) in their time of need and not just leaving them in their wake with a quick “I’m praying for you” statement while walking away. Sound familiar? There is a total lack of love in the attitude of the Pharisee. Instead, the Pharisee gloated from his own confidence in his own self-righteousness. And he looked down on others, too. And where there is no love, there’s not going to be a lot of offering of help, either. Instead, we’ll probably hear, “I’m praying for you,” while folks smile and walk away. Wouldn’t it be shocking to find out that perhaps many of our churches are actually filled with a fair number of Pharisees instead of genuine Christians? An attitude check (especially towards strangers in our midst) is all that’s needed to figure it out. If even one person enters our church and we judge them harshly for any reason (and usually without even knowing them or hearing some gossip about them from others who often have ulterior and self-seeking motives), it’s pretty clear whose side we are really on. I used to think there were a lot of genuine Christians in America but these past six years have clearly indicated that there might not be as many as I originally surmised. Talk is cheap, and it’s easy to look and act the part when not actually being a genuine Christian. Just dress nice, look nice, act nice, say all the right words, pray properly, and hide the stuff we don’t want folks to know and, hey, we’ll be accepted by most churches today. But in the end, it doesn’t mean anything. And God isn’t fooled, either. Read that last sentence again. If sinning doesn’t bother us anymore, what does that say about us? And when was the last time we actually submitted ourselves to God with grieving and wailing and changing our laughter into mourning? When was the last time we were genuinely humble before God (and not with the false humility that is so pervasive in many Christian circles today)? 1. Only God is great. . . .
2. Only God is wise. . . .
Grant that men possess perpetual being, and the preciousness of every earthly treasure is gone instantly. God is to our eternal being what our heart is to our body. The lungs, the liver, the kidneys have value as they relate to the heart. Let the heart stop and the rest of the organs promptly collapse. Apart from God, what is money, fame, education, civilization? Exactly nothing at all, for men leave all these things behind them and one by one go to eternity. 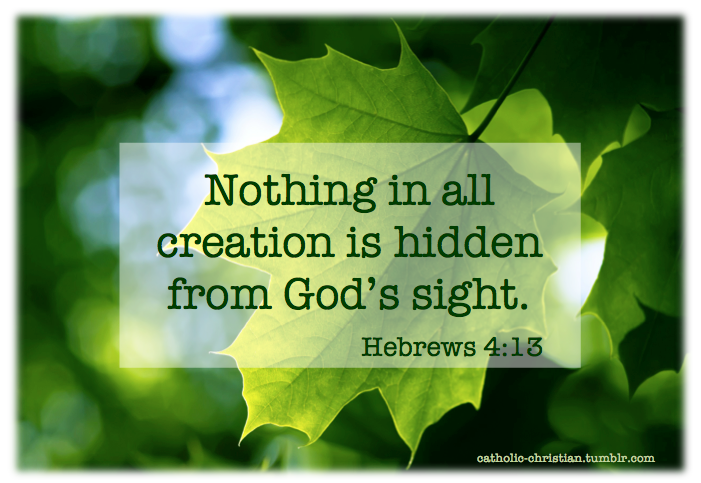 Let God hide His face and nothing thereafter is worth the effort. For God so loved the world that he gave his one and only Son [Jesus Christ], that whoever believes in him shall not perish but have eternal life. For God did not send his Son into the world to condemn the world, but to save the world through him. Whoever believes in him is not condemned, but whoever does not believe stands condemned already because they have not believed in the name of God’s one and only Son. This question is certainly a legitimate one in the minds of many people. And this is likely due to the behavior of some Christians; however, it is also likely because of the behavior of many who think they are Christians or profess to be Christians, but who are not. The reasons many believe they are true Christians when they are not are many and varied. The false teaching that is so prevalent these days is certainly one reason. When churches eschew teaching sound doctrine, the end result will be congregants who do not know the truth of God’s Word. How can they keep in step with the Spirit, when the Truth is not in them? That’s it . . . .
Everything flows from it . . .
And nothing else matters . . . .
“According to the American Religious Identification Survey (ARIS) of 2008, 76% of the American adult population identified themselves as Christians, with 51% professing attendance at a variety of churches that could be considered Protestant or unaffiliated, and 25% professing Catholic beliefs” (quote source here). With such a large percentage of the American adult population identifying themselves as Christians, given a cursory look at the state of our nation today gives one pause for thought as to why our society is in such turmoil with an apparent “anything goes” mentality running the show much of the time. Most of the time it has to do with the way we live our lives on a daily basis. Basically, there are three schools of thought regarding human moral responsibility. First, there is nihilism. Nihilism argues that there is no God, hence anything one wishes to do is permitted. There are no rules—absolutely none—for human conduct; according to this ideology, every person is a law unto himself. Third, there is absolutism. This concept affirms that there is an absolute, objective standard of right and wrong (grounded in the holy nature of God himself), and this code of moral conduct is set forth in the Bible—reaching its zenith in the New Testament. (Quote source here). Situation ethics is squishy, dicey, and allows a way out of any moral dilemma we face that we don’t want to adhere to given the set of circumstances we find ourselves in, and, over time, it often replaces the moral dilemma altogether. For example, it’s like saying that we are adamantly against abortion until our unmarried teenage daughter becomes pregnant and our reputation within the community is now at stake, so in this particular situation we allow for it (without letting the neighbors know, of course). Affairs often fall under the same category . . . we say we believe in marital fidelity until someone catches our eye and we head on down that road towards adultery. Or, let’s bring it even closer to home with something that has become so pervasive in our society today that we do it without even blinking an eye–lying–as in being deliberately untruthful and deceitful, often for some type of personal gain at another’s expense or to ruin someone’s reputation (see blog post titled, “The Truth About Lying”). Gossip is a big one that falls under that category. With our loss of the sense of majesty has come the further loss of religious awe and consciousness of the divine Presence. We have lost our spirit of worship and our ability to withdraw inwardly to meet God in adoring silence. Modern Christianity is simply not producing the kind of Christian who can appreciate or experience the life in the Spirit. The words, “Be still, and know that I am God,” mean next to nothing to the self-confident, bustling worshipper in this middle period of the twentieth century. This loss of the concept of majesty has come just when the forces of religion are making dramatic gains and the churches are more prosperous than at any time within the past several hundred years. But the alarming thing is that our gains are mostly external and our losses wholly internal; and since it is the quality of our religion that is affected by internal conditions, it may be that our supposed gains are but losses spread over a wider field. “It is impossible to keep our moral practices sound and our inward attitudes right while our idea of God is erroneous or inadequate.” And how did our idea of God get this way? Sometimes while I’m driving down the road I’ll be listening to a Christian radio station playing modern Christian music. While I appreciate many of the words the song writers have written, I’ve come to realize that much of the Christian music of our day focuses on us, and what God can give or do for us. Our concept of God is often wrapped around us except perhaps during Sunday morning worship at church. Rarely do we seek God at any real depth for who He is apart from what we want or need, and we have succumbed to a “light and easy” Christianity that pales in comparison to actual New Testament living. And a hundred lesser evils (e.g., “idols”) in our culture have taken up the space in our lives that should be reserved for God only–things like money and material possessions, and, of course, all the “situation ethics” we allow for in our own lives, like lying because it’s easier then living out the truth we know we should be living. And excuse-making has become all too common among us. And it’s called idolatry . . . . Many of us who call ourselves Christian rarely take the time on a daily basis to “be still” (see Psalm 46) before God and seek His face and His will for our lives for the day. We rarely meditate for longer than a five-minute devotion (if we even do that) but still expect God to carry us through the day. I wasn’t raised to believe that way many years ago but it has become so common in our day today and for the past several decades, too. We just expect God to be there for us whenever we need him without really giving him the time of day. And the power and wisdom that come from God is lost to us because we don’t seek him first. “A tight rein on their tongues” is not just a matter of not swearing, but it also includes gossip and slander, deceit and lying, and using prayer as a way to communicate gossip about others or make ourselves sound or look good (like the prayer of the Pharisee–see Luke 18:10-13). God sees and knows our heart attitude, no matter how nicely we may try to cover it up to others. And in the end, it is only God’s view that matters. I have always maintained that my blog posts are written in the spirit of “considering our ways.” We have let go of so many of the essentials that make up the core of Christianity (and many of the young people among us today don’t even know what they are) in our daily walk with God in our society, and a myriad of “things” have taken his place, from smartphones to material possessions to lying just to get ahead. I write them as much to remind myself as to remind anyone else. None of us are outsiders to the human race.